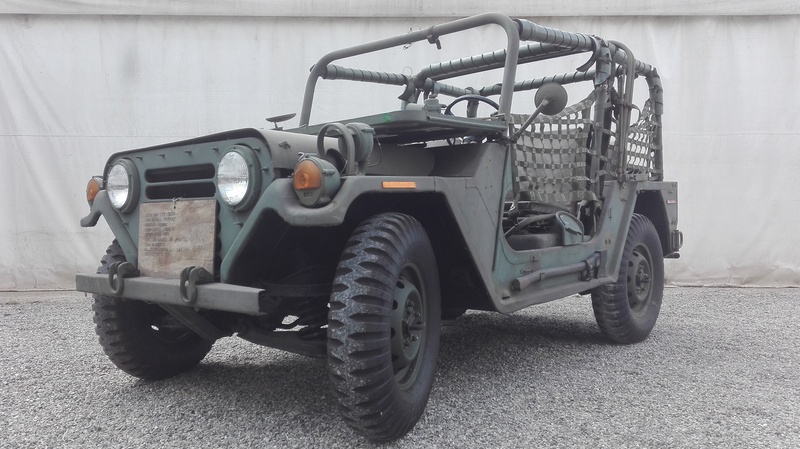 Here we have a superb Mutt M151 A2 with ROPS , rare to find in MINT CONDITIONS like this. This vehicle was never delivered to units,speedometer signs 14 MILES real, with still original light green paint with a wonderful patina,all original accessories as seats,goodyear tires,etc.. In the car are still presents original dataplates and original hood matchin numbers. Very beautiful car to leave as is. Asking price on request.